has just added even more benefits for OOIDA members! Fuel at Quick Fuel and receive 6¢ off the cash price with every swipe and pay ZERO transaction fees! AN EXTRA $850 IN YOUR WALLET? The Truckers Advantage fuel card is brought to you by WEX Fleet One and the Owner-Operator Independent Drivers Association (OOIDA), an advocate of truckers since 1973. If you’re not a member of OOIDA, visit their website to get started and relax! Now you’ve got the support of an organization that will always have your back. 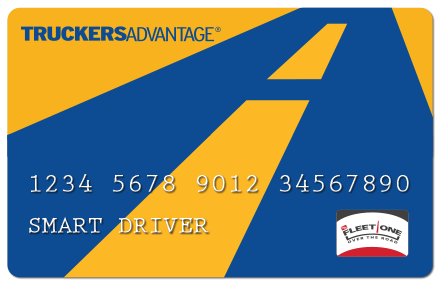 With the Truckers Advantage fuel card – the only fuel card in the industry designed exclusively for OOIDA members – you’ll get HUGE savings and discounts, putting an extra $850 in your wallet within the first year!